I am happy to say that Quincy and Buck has won a Mom’s Choice Gold Award! I love all the Quincy the Horse stories but this one holds a special place in my heart. I am excited that it has been recognized by the Mom’s Choice Award. What great news to receive as I am making the final preparations for attending BEA in New York City. For me, Quincy and Buck brings back many memories of our trail rides in the desert of New Mexico. Of course the ride on that day was more complicated than I planned, but Quincy came through like a little trouper and did go on to be a good trail horse. For those who do not know the story yet, Quincy and Buck is about confronting fears and discovering bravery. Quincy learned to deal with a bully and in the process found his own inner strength. He also found out that bullies can be afraid under their tough demeanor. 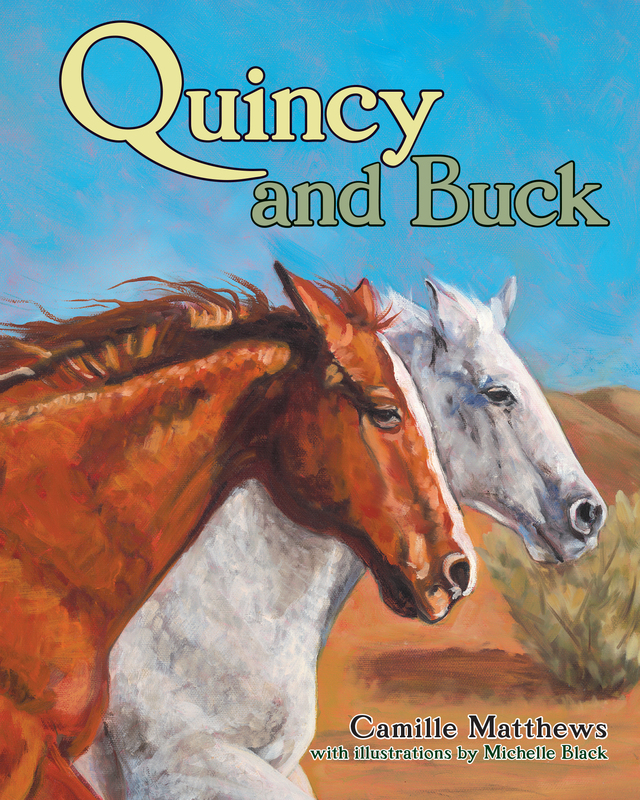 I will be signing copies of Quincy and Buck at BEA. Please join me at the Mom’s Choice Booth #2767 on Friday, May 30, 2 pm. This entry was posted in Quincy the Horse Books and tagged American Quarter Horse, BEA, Book Expo America, Camille Matthews, children's books, equestrian books, horse books, horses, Mom's Choice Awards, mom's choice gold award, Quincy, Quincy and Buck, Quincy The Horse, Quincy the Horse Books. Bookmark the permalink.